In preparation for his forthcoming circumnavigation with the Blue Planet Odyssey round the world rally, Jimmy Cornell completed this summer a grueling test of his new 45 foot Aventura, an Exploration 45 aluminum centreboard yacht built by Garcia Yachting in France. 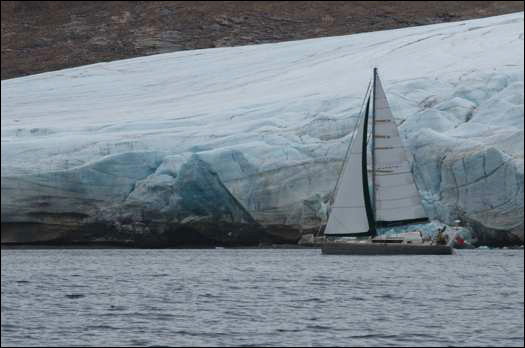 A 8500 miles North Atlantic voyage took him from London to Greenland, the Northwest Passage in Arctic Canada, and on to Annapolis in time for this year’s show. 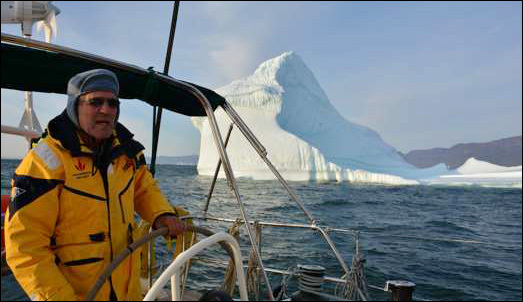 Those who wish to find out more about both Jimmy’s latest voyage and his previous expeditions to such high-latitude destinations as Antarctica, Patagonia, Southern Chile, Alaska or Spitsbergen, are invited to spend “An Evening with Jimmy Cornell” at the Maryland Inn, within walking distance of the Annapolis Sailboat Show. A 90 minute presentation on “High Latitude Cruising: Highlights and Practicalities“, followed by a Q&A session, will be held at 7 pm on Friday 10 October and Saturday 11 October . 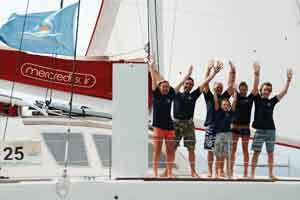 or contacting Doina Cornell on seminar@cornellsailing.com. Tickets will be $20 to be paid in cash at the door. A cash bar will be provided with light snacks and the opportunity to purchase Jimmy’s books.